Oh boy, there sure are going to be a whole lot of people running around in masks this Halloween. There are going to monsters to your left and new mysteries right around every corner. The gang sure is going to have their hands busy this year! Who’s in the gang, you ask? Well, you are, of course. It will be your job to be the mascot of everyone’s favorite rag-tag group of teens, Mystery Inc! 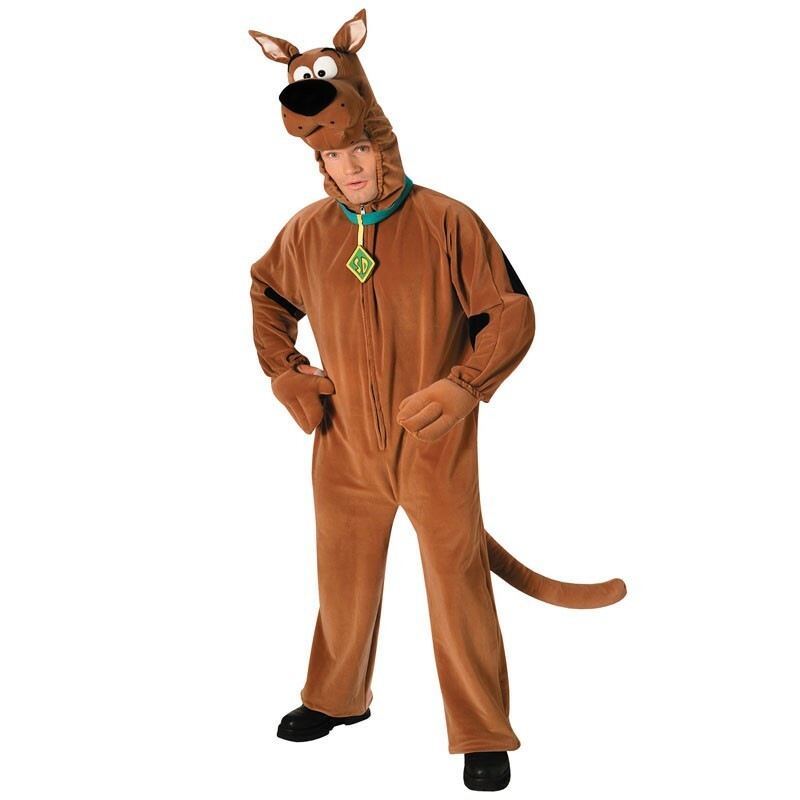 Grab this Deluxe Adult Scooby Doo Costume and transform into this famous and easily frightened pooch. Grab a couple of friends to dress up as the rest of the gang and the five of you can enjoy a night of unmasking monsters all around your neighborhood. You can also run around on a solo mission to save the world from a monster take over and prove once and for all that Scooby Doo is indeed a hero and not some sort of fraidy-cat! However you decide to roll this Halloween, you’ll surely be a crowd favorite with this easy to slip-on jumpsuit. Ole Scoob is one of the most celebrated cartoon characters ever created for Hanna-Barbera Productions. With enough charisma and a bit of work on your Scooby imitation, you can bring this iconic Great Dane to life off of the television screen and into the next costume party you attend! Just make sure to take it easy on all the Scooby-snacks… Too many of those delectable treats and you won’t be able to catch any of the masked villains you’re after this Halloween. So take it easy on the snacking and enjoy the unmasking!